Tonight (at sundown), a major Jewish holiday begins. Here’s last year’s post on it, in case you want to gain a little more knowledge about it. Yom Kippur is the “Day of Atonement”, on which Jews all over the world atone for any wrongdoings that they have caused over the past year. We fast for the 25 hour period*, and our family spends a nice chunk of the day in services at the synagogue. The nice thing about being hungry at the temple is that everyone else is hungry too; it’s like a mass stomach-growling festival! The reason that we fast is to help us be introspective, to think about God, and to contemplate how to become better people. At this time of year it is also customary for us Jews to apologize and make amends to those we have hurt**. On that note, I would like to apologize to anyone out there who I may have hurt through my writing on this blog or personally if I know you in real life. If I have hurt you in any way, please gently let me know so that I can make amends. One last thing: I’d like to wish all of you out there who celebrate Yom Kippur an easy fast, and Gemar Chatimah Tovah, may your final sealing in the Book of LIfe be good. * okay, well, to be completely honest, my family will be fasting for “only” about 22 hours, because our temple group that we celebrate holidays with is coming here to “break the fast” in mid-afternoon. **which, when you think about it, isn’t such a bad idea for people of any religion, don’t you think? May you have an easy feast. Atonement for hurts is definitely something everyone, regardless of their faith, should strive for. I definitely wish you an easy fast. There are wonderful ideals behind Yom Kippur we could all use, that's for sure. I hope that you and your family have an easy fast. Thanks once again for for sharing your traditions and culture, you know I love "Jew Stuff" posts! What a thoughtful holiday, thanks for this post. We have close friends who are Jewish, and they celebrate all the holidays, I've never thought to ask what each is really about. Hope the fasting goes smoothly! 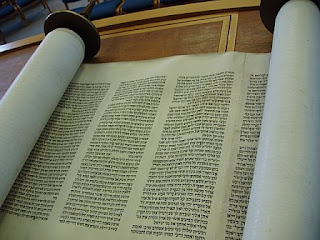 I have learned quite a bit about the Jewish religion in the past couple of weeks- I hope you had an easy fast! An easy fast to you, Melisa. And ummm to everyone else around me, considering how empty the roads were today…. Previous post: I Wonder If She Misses Me As Much As I Miss Her*.